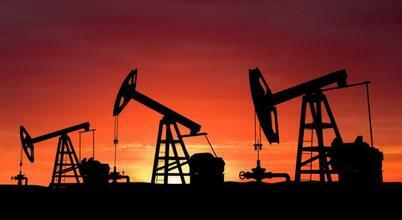 Oil and Gas Production - MagTek Inc. - Making the world a safer and cleaner place. Mag-Tek’s unique and patented Magnetic Fluid Conditioning tools were proudly advertised by Halliburton in the mid 1990s as its best option for preventing maintenance problems. At that time, Halliburton described laboratory tests under controlled temperatures and conditions, and a track record of success. This was accomplished with Mag-Tek’s patented technology. So, why did they stop? Was it because they found a better system, or because the technology did not work? Halliburton quit using Magnetic Fluid Conditioning tools because Halliburton is first and foremost a maintenance and service business: the use of MFC technology was cannibalizing their service revenue! It worked too well! If you want to keep Halliburton’s business flourishing, stop reading right now, but if you would like to reduce maintenance on your wells, why not check out our whole-system fluid restructuring technology and dramatically reduce recurring chemical and maintenance costs! Our initial analysis of your system is free of charge, with no obligation. In most cases you can pay for the Mag-Tek’s proven systems with less money than what you will save on your recurring costs. 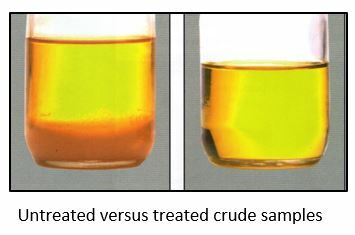 Our technology significantly reduces the need for hot oil, mechanical or chemical treatments. It helps increase production and cut costs in wells with scale, paraffin and asphaltene problems. It helps improve production due to lack of paraffin and asphaltene congealing on pump rods, tubing, flow lines and other equipment. It helps remove existing scale and inhibits the formation of new deposits in pumps, tubing, heating devices, separators and other equipment. Keeps system free from scale that causes under-deposit pitting and can reduce corrosion. Reduces most tank high-bottoms and basic sediment and water (BS&W) in storage tanks. Improves oil flow in cold weather. Magnetic Fluid Conditioning technology developed by Mag-Well Inc., protected under U.S. Patent No. 5,178,757, now owned by Mag-Tek, Inc.
Our engineers will provide you a free systems analysis, customized design solution and cost proposal, free of charge, with no obligation.